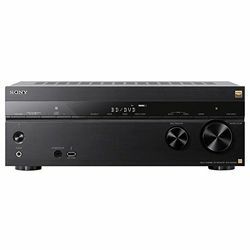 This Sony STR-ZA810ES review will help people understand if this model is right what they need. This is a modern, reliable solution for people who value quality. 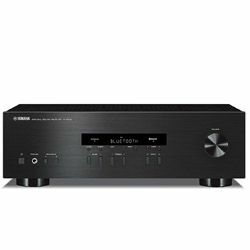 This unit supports various technologies but at the same time, it is very easy to install and configure, so you will have no troubles at all, even if this is your first receiver. This model has two large knobs (input selector and volume master), a turn on/off button, a simple LCD display and a row of buttons right under it. The front panel also features additional ports. All “major” input ports are located on the back panel. The remote controller is quite ergonomic, but some people may find certain buttons excessively small. 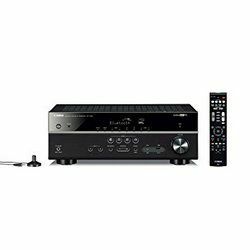 This receiver supports the modern 4K HDR video standard with HDCP 2.2 support. It also supports the 7.2 channel audio setup. 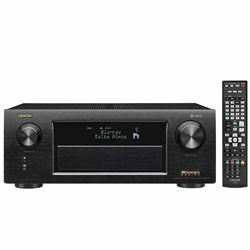 This solution supports Dolby Atmos, DTS:X, while the eARC technology can relay full-resolution audio directly from and to the TV without using any media sources. The Phantom surround technology can simulate surround back speakers. The D.C.A.C. (digital cinema auto calibration) technology will balance the output audio to create a seamless audio environment providing you with well-balanced, clear audio. Wi-Fi and Bluetooth allow you access various online services. It has the Chromecast technology built-in. 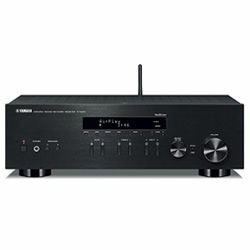 The auto-calibration technology creates a well-balanced audio environment. The output audio is completely distortion-free. This receiver has 6 in and 2 out HDMI ports. It also has AV inputs, USB, phones, subwoofer outputs and other ports to connect all devices you have. The ports are reliable so you will get no noise (if you use high-grade cables). You can also use the wireless modules and connect devices using either Wi-Fi or Bluetooth. The speed of a connection is enough for lag-free content streaming. The process of installing and setting the unit up is quite easy. Configuring is not challenging since you can use the D.C.A.C. technology. The manufacturer provides you with the microphone required for the calibration process. The UI is friendly so you can tweak everything you want without any problems. 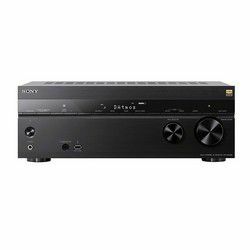 Sony STR-ZA810ES specs prove that this is a great option for people who look for a modern receiver that can provide them with clear video and natural sound. It has many features, like auto-calibration, phantom surround sound, wireless content streaming etc.